In the spring and summer of 1961, several hundred Americans blacks and whites, men and women converged on Jackson, Mississippi, to challenge state segregation laws. The Freedom Riders, as they came to be known, were determined to open up the South to civil rights: it was illegal for bus and train stations to discriminate, but most did and were not interested in change. Over 300 people were arrested and convicted of the charge "breach of the peace." 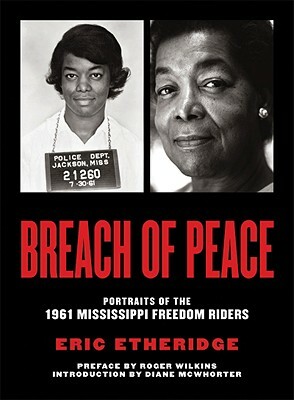 The name, mug shot, and other personal details of each Freedom Rider arrested were duly recorded and saved by agents of the Mississippi State Sovereignty Commission, a Stasi-like investigative agency whose purpose was to "perform any and all acts deemed necessary and proper to protect the sovereignty of the state of Mississippi." How the Commission thought these details would actually protect the state is not clear, but what is clear, forty-six years later, is that by carefully recording names and preserving the mug shots, the Commission inadvertently created a testament to these heroes of the civil rights movement. Collected here in a richly illustrated, large-format book featuring over seventy contemporary photographs, alongside the original mug shots, and exclusive interviews with former Freedom Riders, is that testament: a moving archive of a chapter in U.S. history that hasn't yet closed.